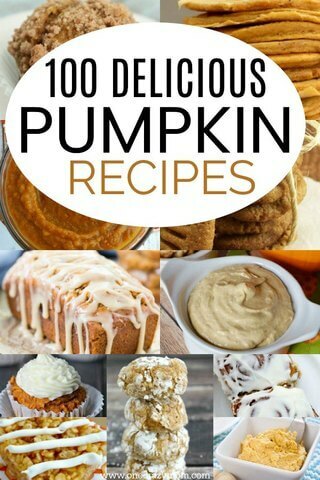 Easy Pumpkin Recipes - 100 Pumpkin Recipes to Try Today! 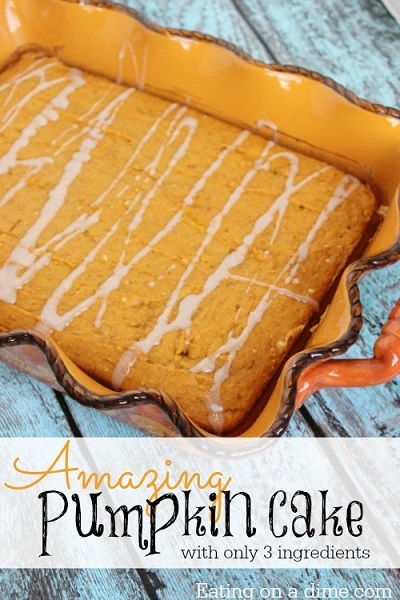 Do you love to try new pumpkin recipes? 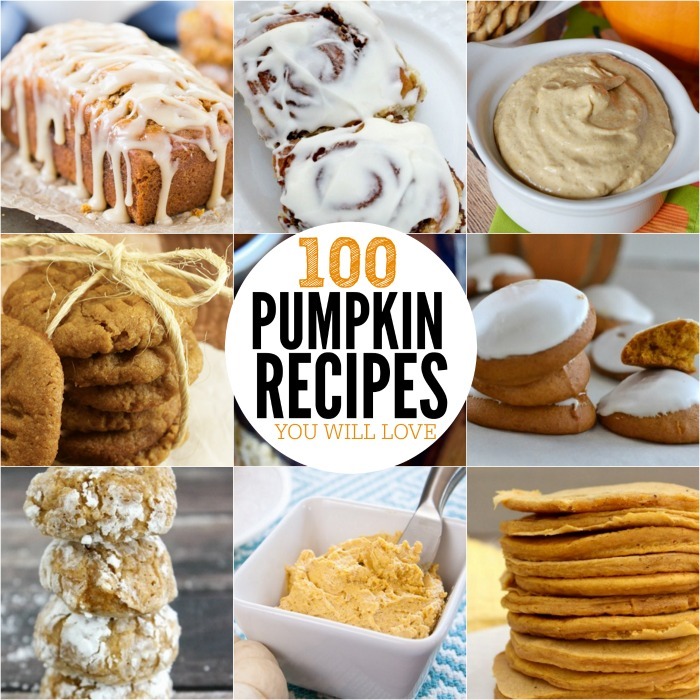 We have compiled 100 quick and easy pumpkin recipes you have to try! From pumpkin bread to pumpkin pancakes and pumpkin pie, these easy pumpkin recipes will not disappoint! It’s that time of year when we start to think about everything pumpkin! Here are 100 easy Pumpkin Recipes to get you started. We found lots of delicious recipes sure to inspire you to whip up yummy treats when you are craving everything pumpkin this fall. 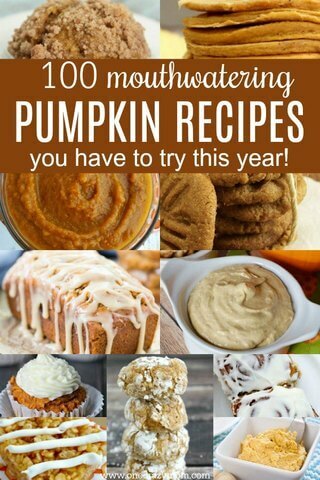 100 Easy Pumpkin Recipes you have to try! 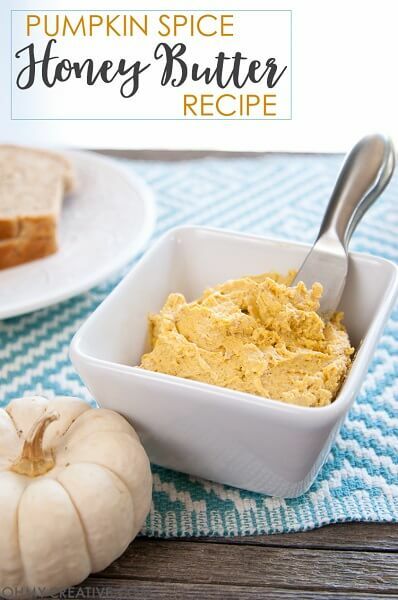 From fresh pumpkin recipes to canned pumpkin recipes, you will find easy pumpkin recipes for everyone! From breakfast items to desserts and snacks, there is something for everyone. We even have several savory soup and pasta dishes with pumpkin! 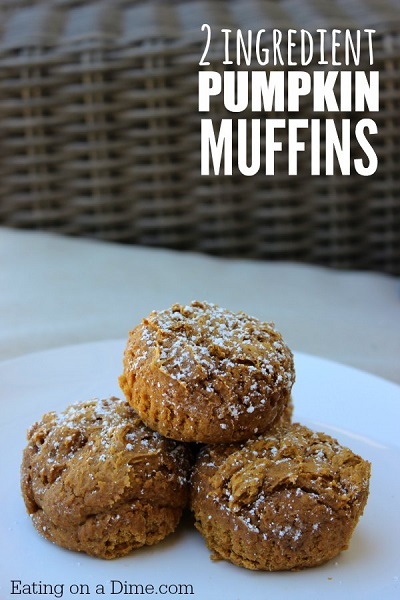 You will love these sweet pumpkin recipes and the savory ones too! I can’t wait to try these and I have a feeling you will be just as eager! 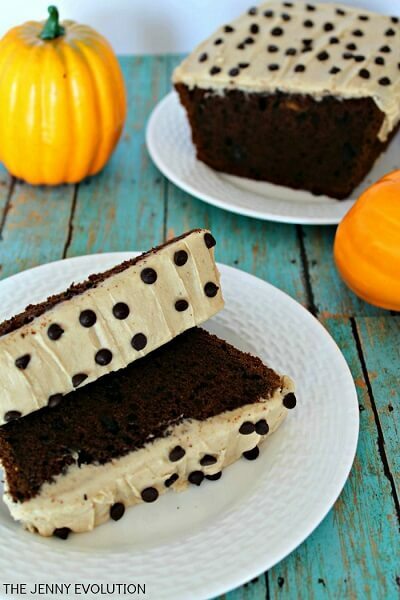 Just wait until you see some of these recipes with layers of decadent pumpkin, cream cheese and more! 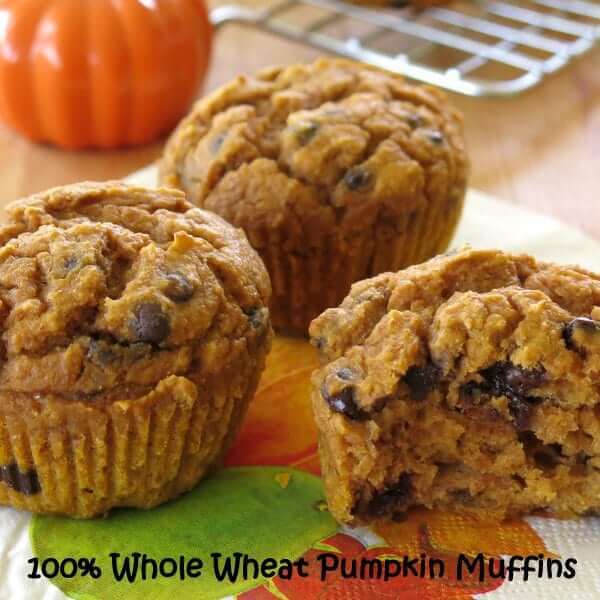 These quick and easy pumpkin recipes are sure to impress. 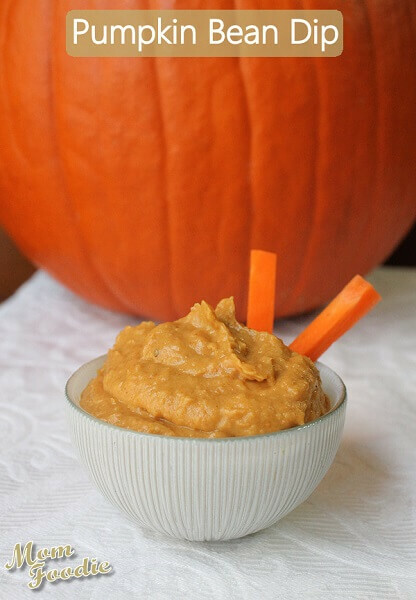 A classic snack made even better with pumpkin puree! Use Fall color M&M’s for a festive splash of color! I bet you could even add pumpkin seeds. 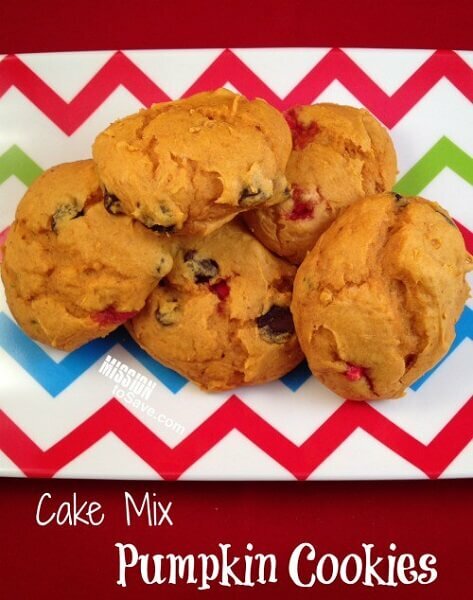 The secret ingredient is cake mix and makes this recipe so quick and easy. Yum! 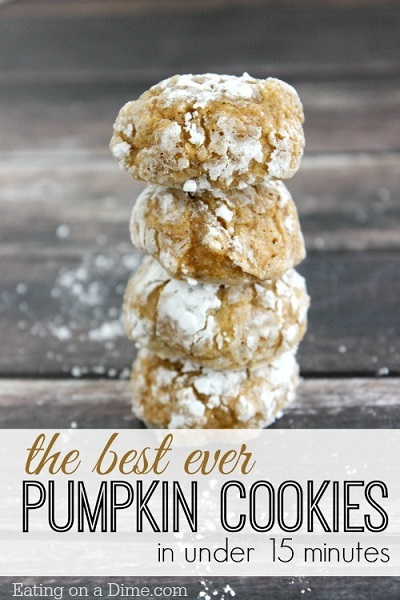 Enjoy these year round but during Fall, they are darling with a little candy pumpkin on top! The cream cheese frosting is divine. 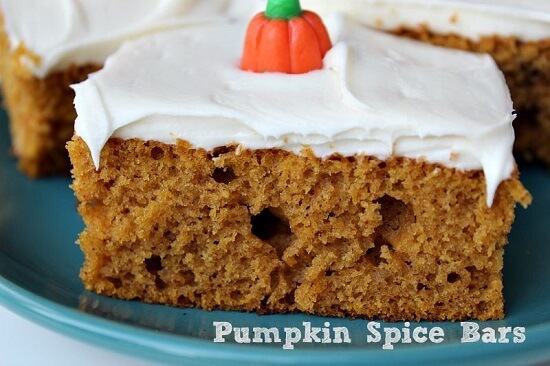 It tastes just like Pumpkin Spice Cake. 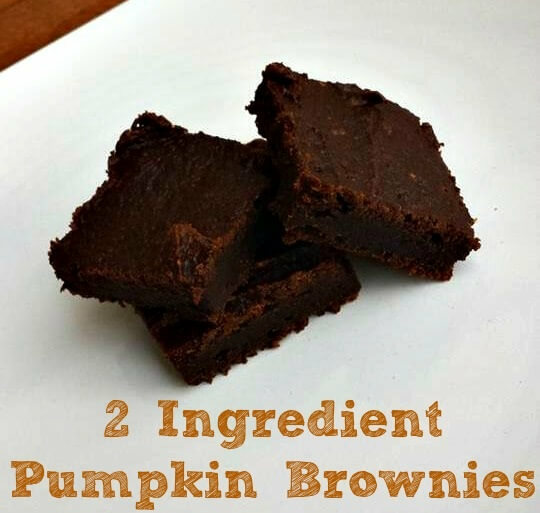 Grab a can of pumpkin and a box of brownie mix and you have all you need for this quick and easy dessert! Yum! 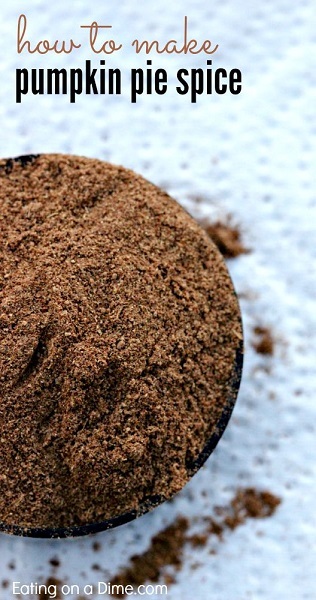 No need to buy pumpkin pie spice anymore! Find the easy recipe here and save a ton of money! 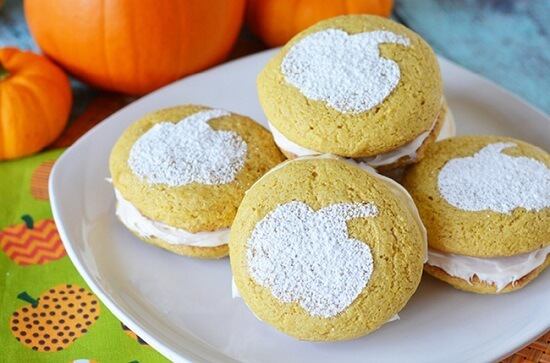 There isn’t anything better than a soft cookie except for one with pumpkin! This sounds decadent! So moist and delicious! 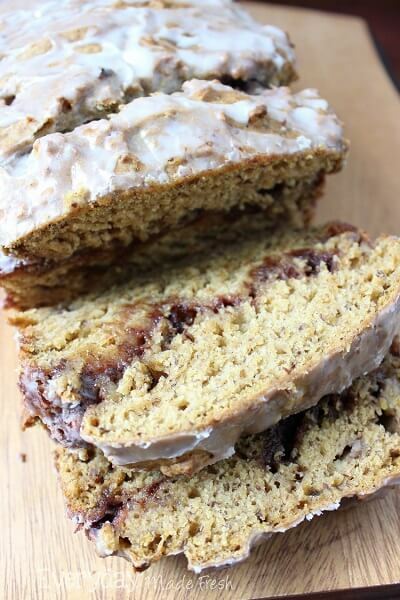 This quick bread is wonderful alone but the glaze takes it to an entirely different level! Oh my! I could eat this by the spoonfuls! This is amazing on hot yeast rolls, toast and more! Simple and easy but so rich and creamy! 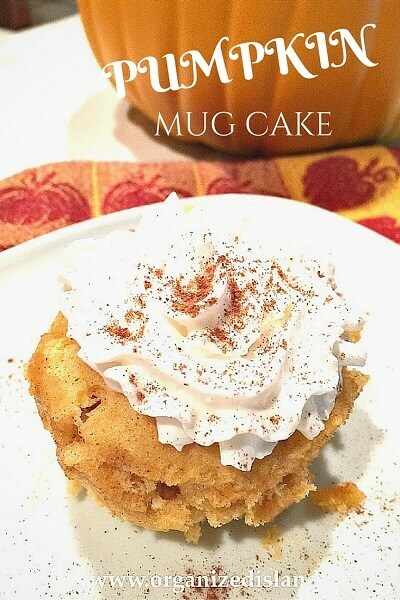 Top with whipped cream and sprinkle with pumpkin pie spice to complete this pumpkin treat. 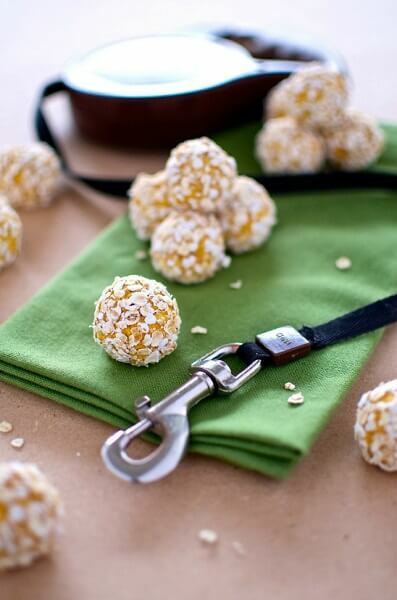 These little goodies are healthy and gluten free! 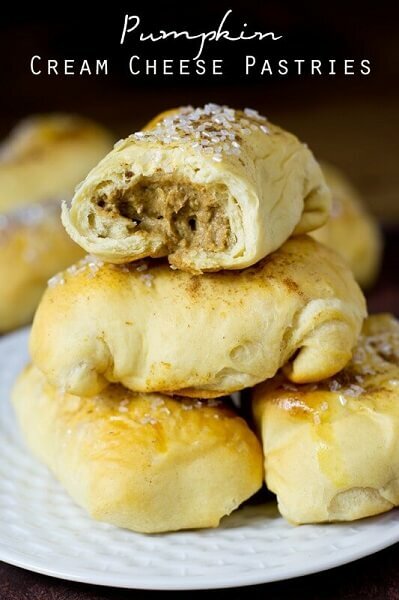 You won’t be able to resist them rolled in cinnamon and sugar. 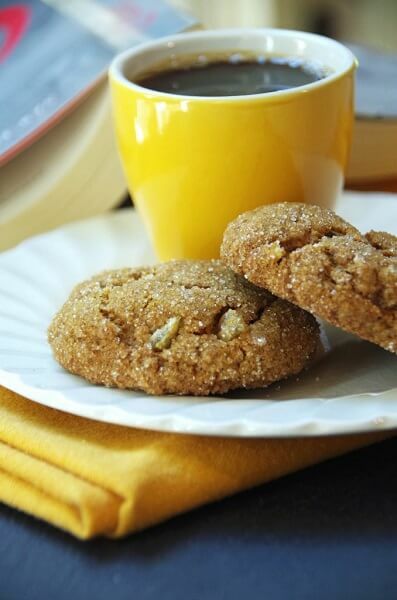 Top these cookies with crystallized ginger chips for an amazing combination with the pumpkin and spice! 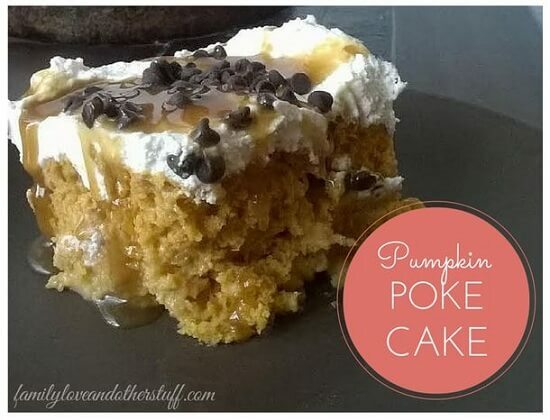 What’s not to love when you combine caramel, pumpkin and chocolate! This cake is so moist and full of everything Fall. 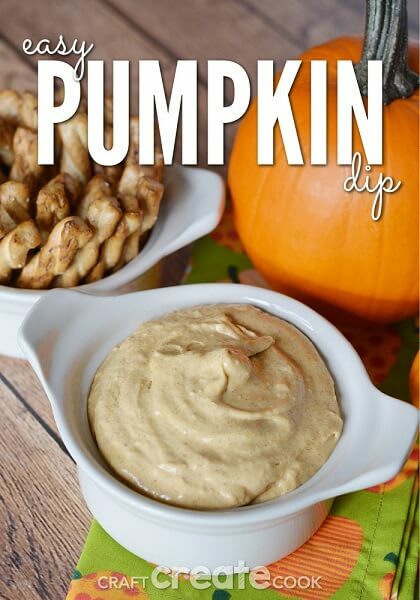 Make this dip with Greek yogurt for a healthy pumpkin treat. Serve with fruit, pretzels or anything you like! Trifle desserts are so pretty! 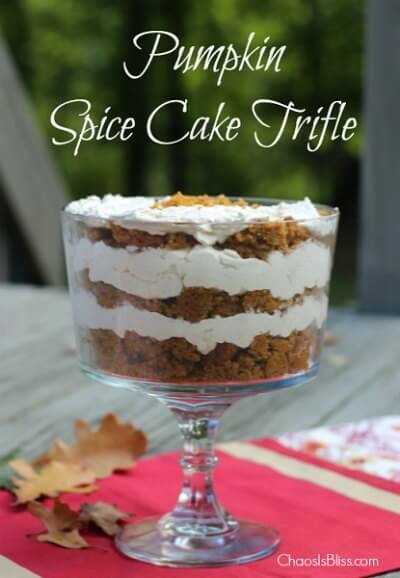 This one has layers of spice cake and pumpkin for the perfect Fall dessert. 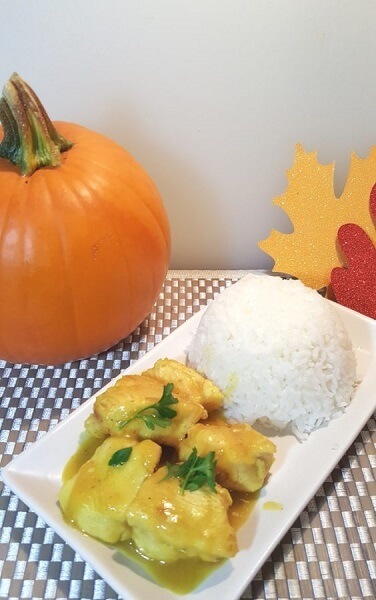 Pumpkin is the hit of this recipe and combined with curry make an amazing meal! 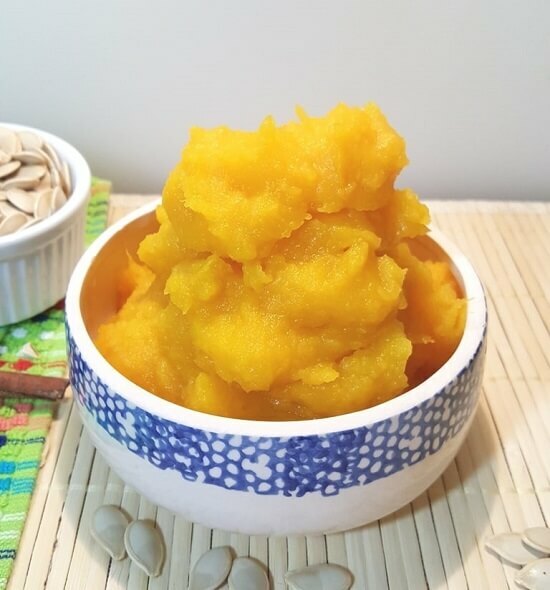 This is healthier than the canned puree and so quick by using the pressure cooker! 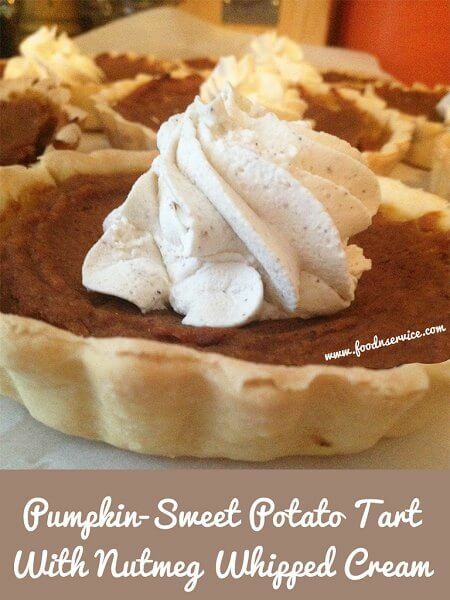 The combination of pumpkin and sweet potato make an amazing tart. Plus they are topped off with nutmeg whipped cream! Only 4 ingredients and you have a yummy twist on a classic! Quick and Easy! 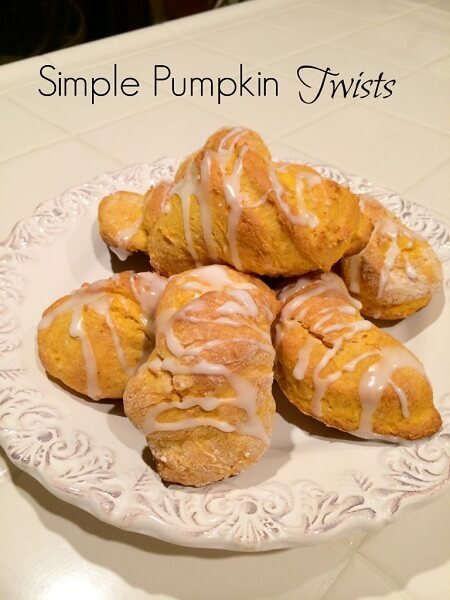 These pumpkin scones are rich and decadent with heavy cream, pumpkin puree and more! Top with buttercream icing and butterscotch. 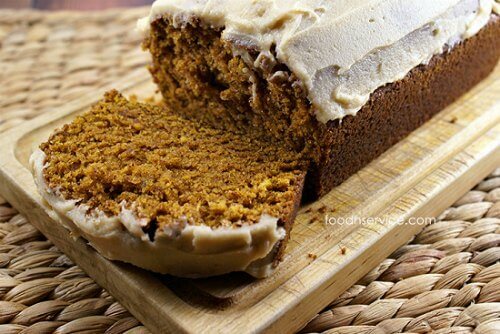 Cream cheese icing is layered on top of this pumpkin bread for a moist and delicious treat. 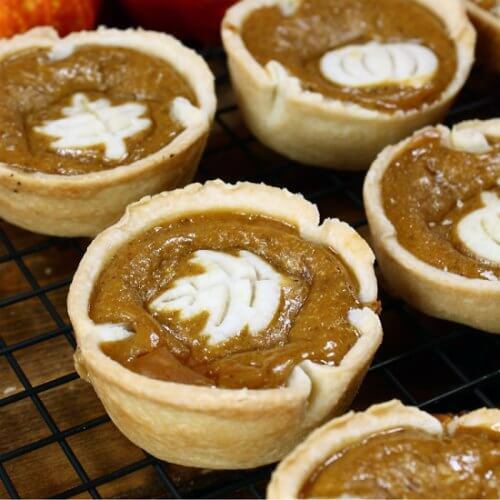 Make the pumpkin pie you love into individual bite size desserts. This would be perfect to serve at a party. 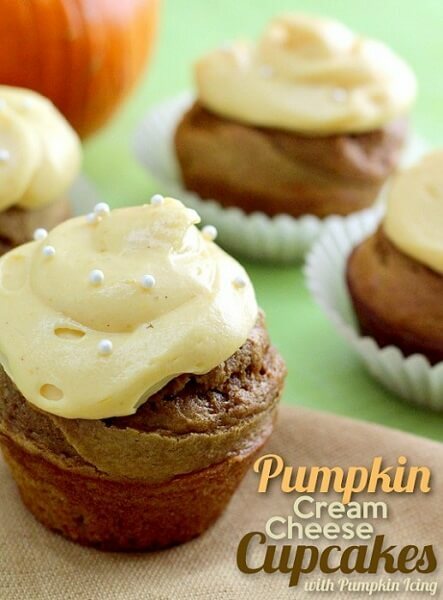 Pumpkin cupcakes topped with cream cheese icing that has hints of pumpkin and nutmeg make this divine. 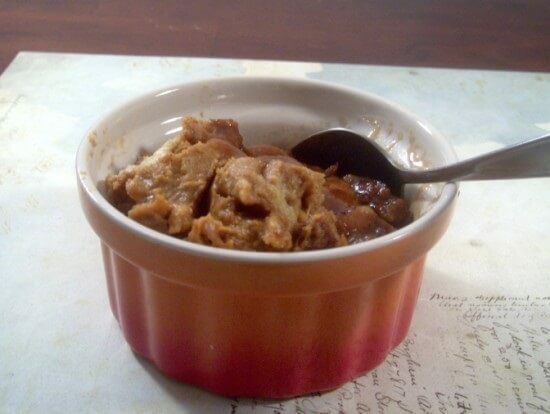 Put a Fall twist on bread pudding by adding pumpkin and drizzling with caramel sauce. 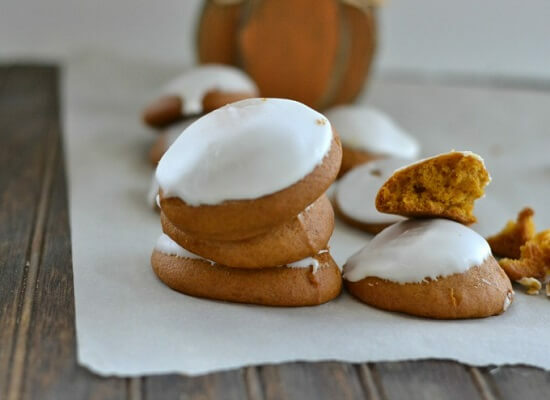 The pumpkin spice in these cookies combined with cream cheese frosting will make this a new favorite! 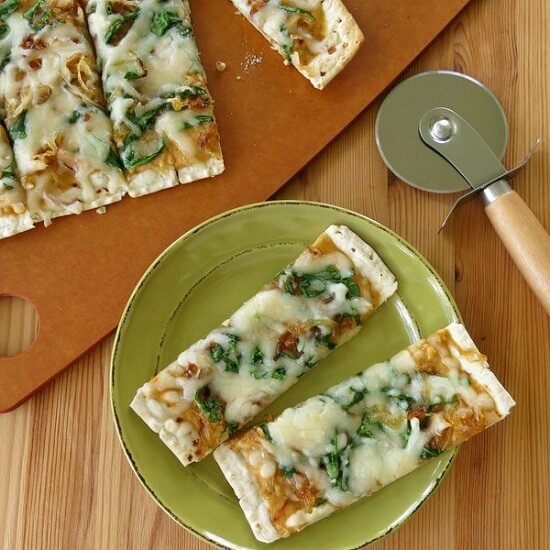 Try something new on pizza night with this twist on traditional pizza. The pumpkin and caramelized onions sounds so good with the spinach. Chocolate Chips make everything better! You will never know these are made with whole wheat. Bisquick makes these come together fast and easy! A cross between a scone and a cookie, these twists are amazing with the powdered sugar icing. 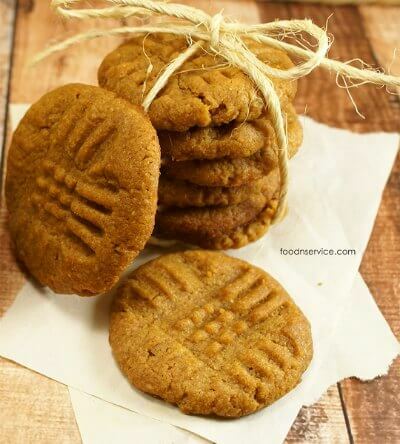 You need only 3 ingredients for these pumpkin cookies! 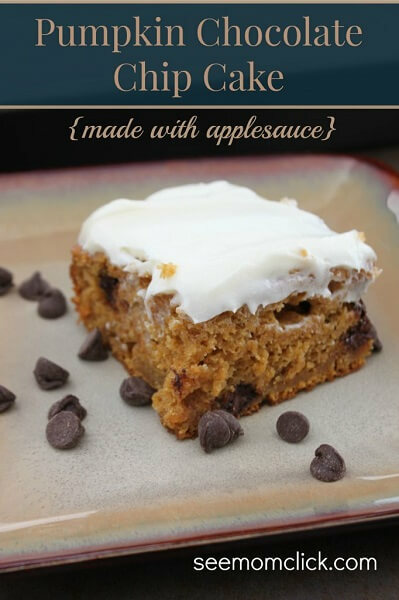 Make this when you need a treat in a hurry! 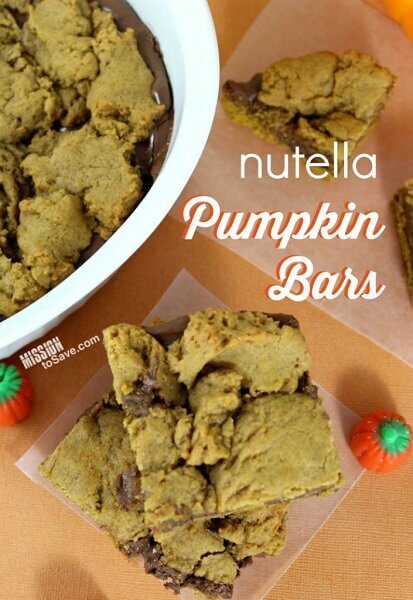 Layer Nutella in pumpkin bars for a chocolate hazelnut dessert like none other. Apple sauce is the secret ingredient in this recipe that makes it SO moist and amazingly delicious! Anything with sweetened condensed milk is a winner in my book! Plus, add pumpkin and oh my goodness! This recipe sounds SO amazing! 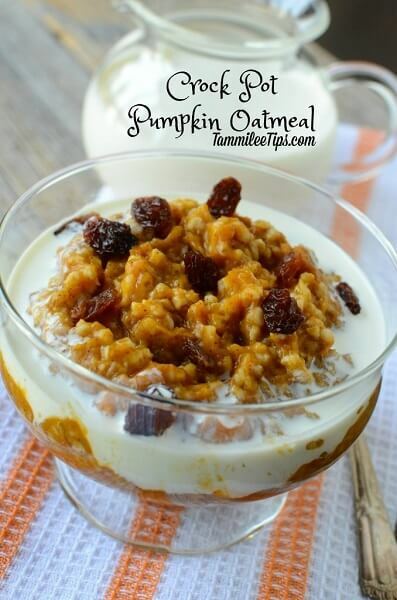 Your house will smell so good when you wake up to this pumpkin oatmeal simmering in the crock pot! This is perfect for busy school mornings. I like top mine with nuts and raisins. Yum! You will not believe how easy this dessert is when you use the crock pot and a few simple ingredients. This sounds like just the dessert to use when you don’t want to be stuck in the kitchen! 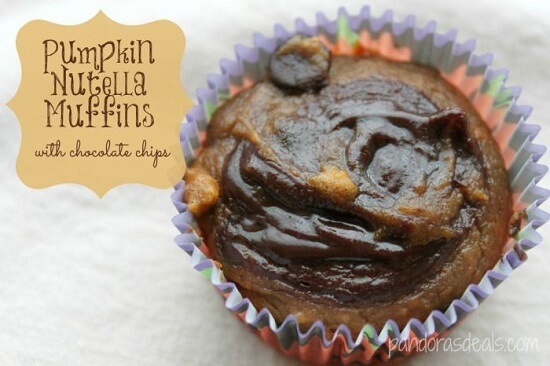 Nutella and pumpkin swirled together and topped with chocolate chips make decadent muffins! You will make this one often! 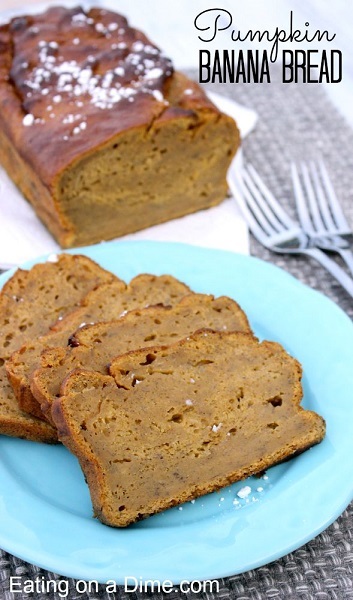 This pumpkin bread is incredibly moist and delicious. The recipe makes 2 loaves so you can freeze one if you like! So easy to make and it’s served with whipped topping or vanilla ice cream. Even better! 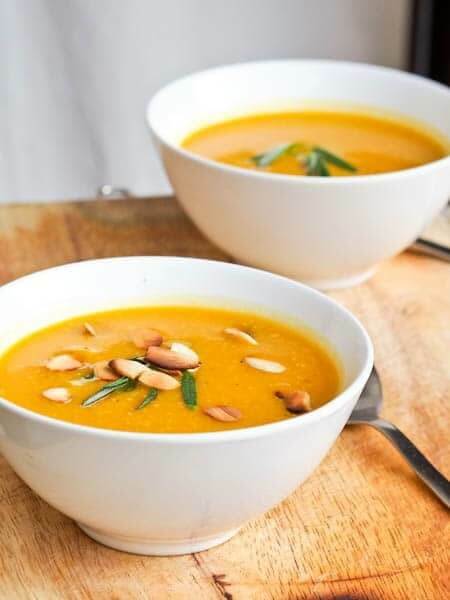 Delicious Fall soup with a pumpkin twist. 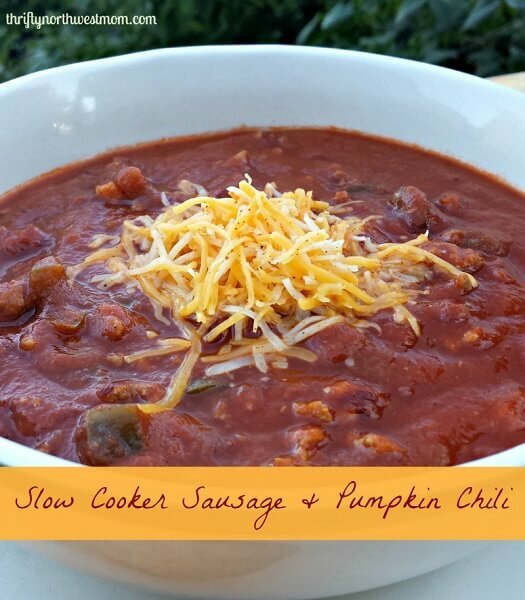 Sounds awesome and I love soup in the Fall that can be made in my crock pot. 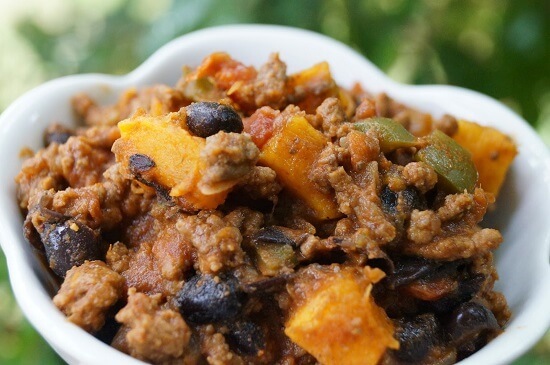 Change up ordinary chili with a secret ingredient- Pumpkin! This pairs so well with black beans for a festive Fall chili! 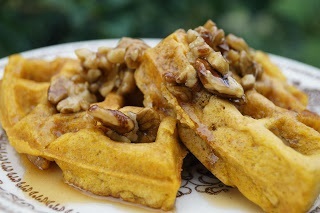 The pumpkin puree in this waffle mix makes this recipe so moist! Top with pure maple syrup and chopped nuts. I love that these muffins freeze well. Make a big batch and save time all Fall! 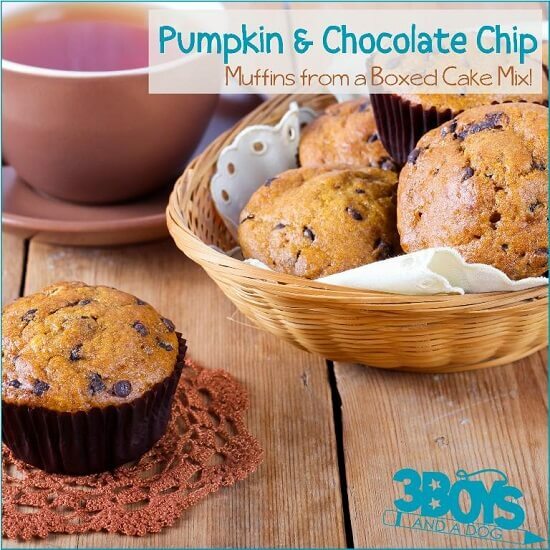 The kids will gobble these up with all the mini chocolate chips inside! 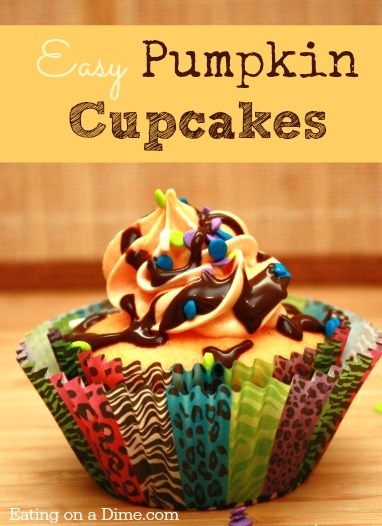 These pumpkin cupcakes are decorated for Halloween! 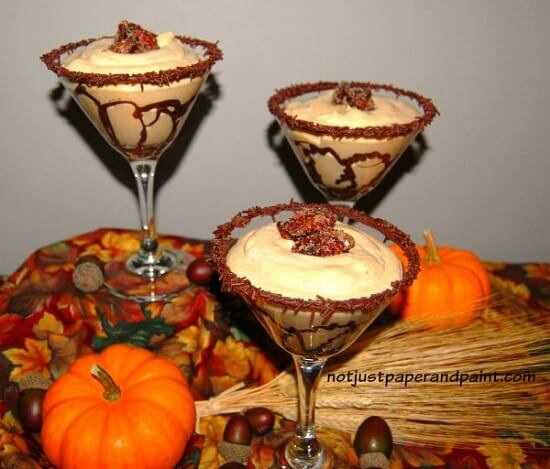 Serve these to surprise the kids at Halloween! Gluten free and oh so delicious! This soup is creamy and so filling. Give it a try and you will be surprised! 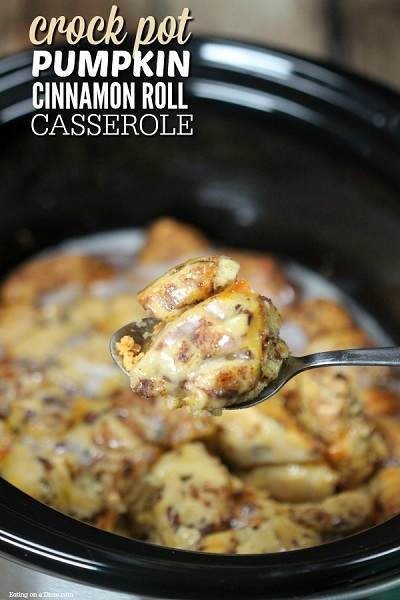 This crock pot pumpkin cinnamon roll casserole is amazing and perfect for any brunch, holiday, or even dessert. The ingredients are simple but the flavors are amazing. 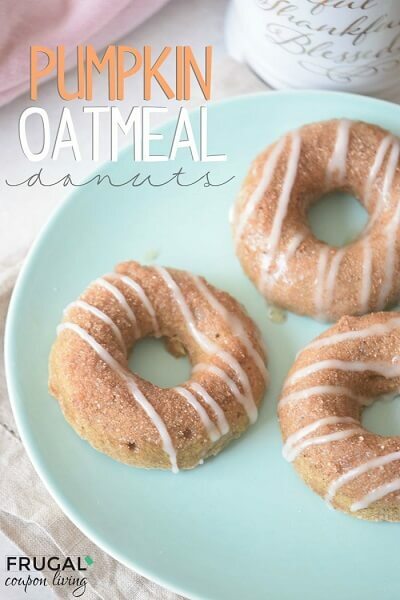 What better way to have oatmeal than in donuts! 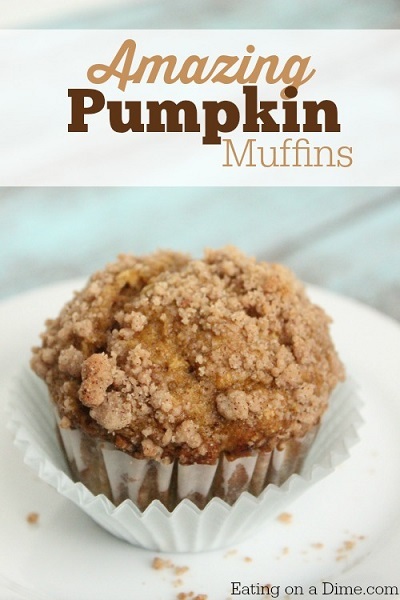 Add a little pumpkin and cinnamon sugar on top and it’s pure heaven! 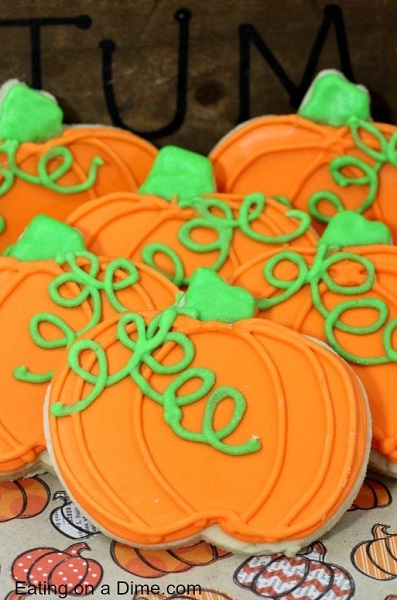 Learn how to decorate adorable Pumpkin sugar cookies. Your kids will love these! 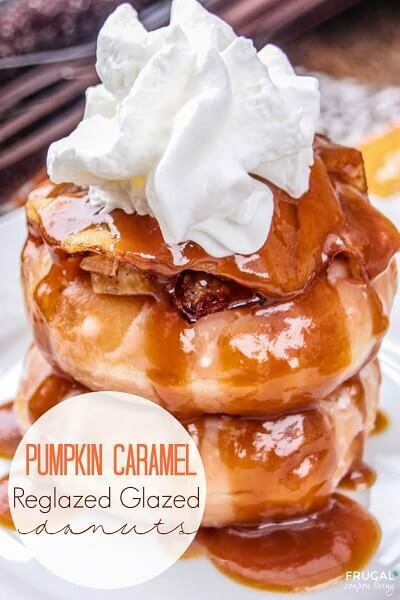 Turn glazed donuts into something extra special with pumpkin glaze. 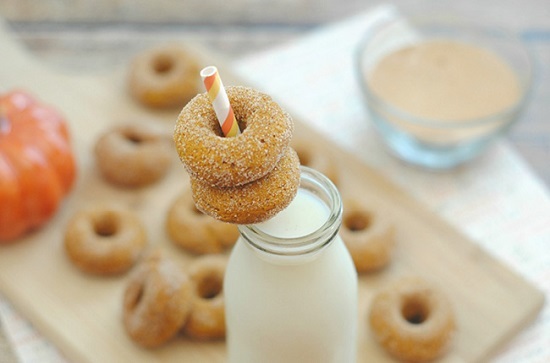 This is as great way to use store bought donuts that might be getting stale. This recipe is super easy to make. You just toss all the ingredients in the crock pot and let the crock pot do all the work! Serve it with hot biscuits! Make a seasonal ice cream favorite for Fall! Your kids will request this each year! 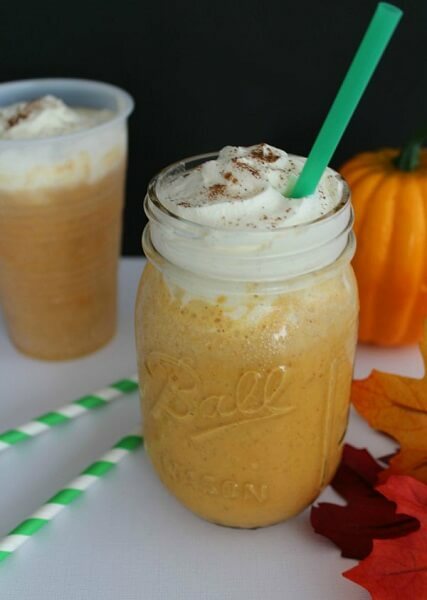 The pumpkin flavor is oh so good! You could also sprinkle graham crackers on top. These are decadent pancakes that you might want for dessert instead of breakfast. 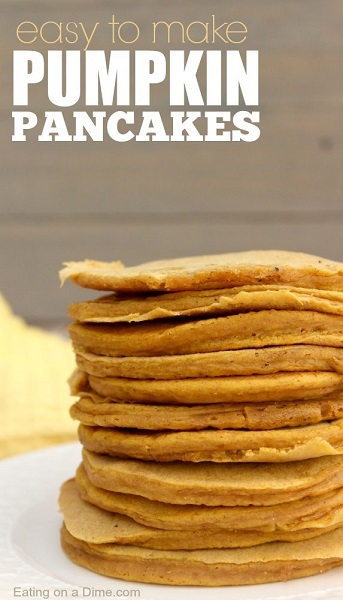 Serve with warm syrup to make these spiced pumpkin pancakes even more yummy! 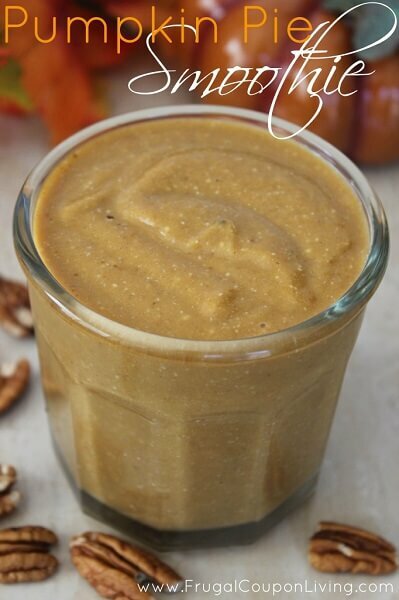 Frozen bananas, pumpkin and other healthy ingredients make this treat good for you and delicious. 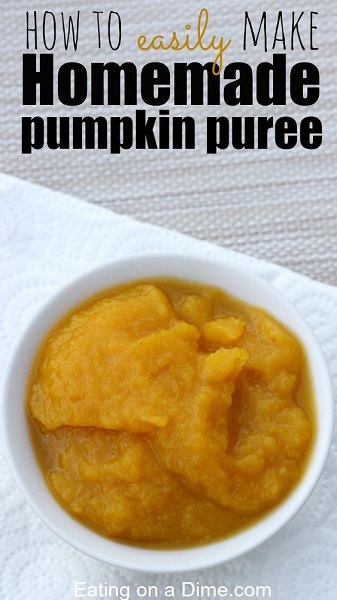 Save money with this recipe for homemade pumpkin puree. It’s very simple! 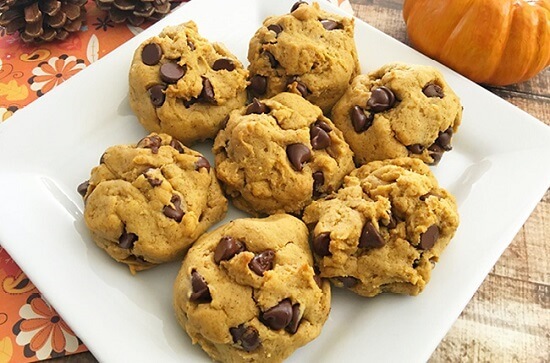 These pumpkin cookies are semi-homemade and incredibly simple to make. 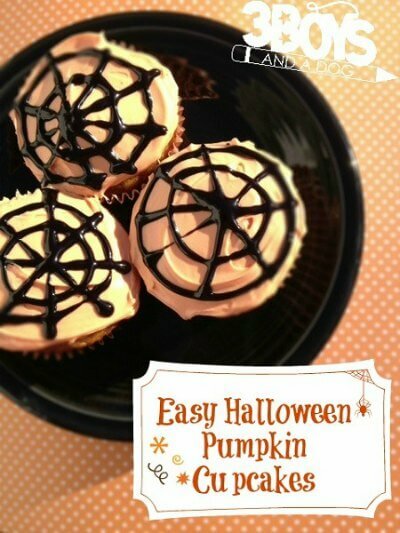 These are so pretty with the pumpkin design but no worries- it’s easy to do! This dip is wonderful on just about anything. 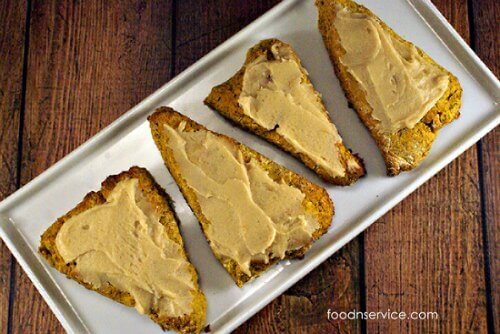 Spread on toast, biscuits or use as waffle toppings. It’s great at parties served with pretzels. I think apple slices would be good too! Oh so easy with only 2 ingredients. Plus, these are baked so even easier. The sugar topping sounds so good. Super soft and chewy and smells just like Fall! I bet you can’t eat just one! 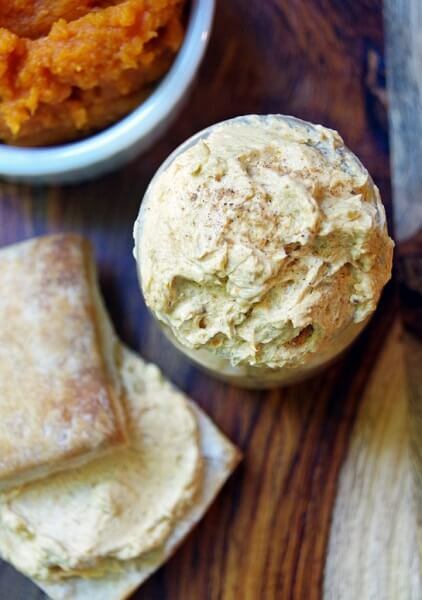 If Fall baking is high on your to do list, make this pumpkin pie spice today! You will save a ton of money! 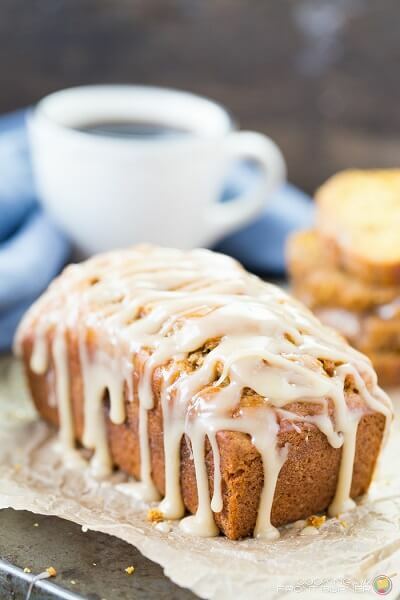 Layers of cinnamon in this banana pumpkin bread topped with a sweet glaze will make you coming back for another slice! This dessert just looks pretty! Serve it in fancy glasses with sprinkles around the edges for a dainty presentation. It’s pretty yummy too! You only need two ingredients to make this super moist muffin recipe. So easy and the kids will love it! 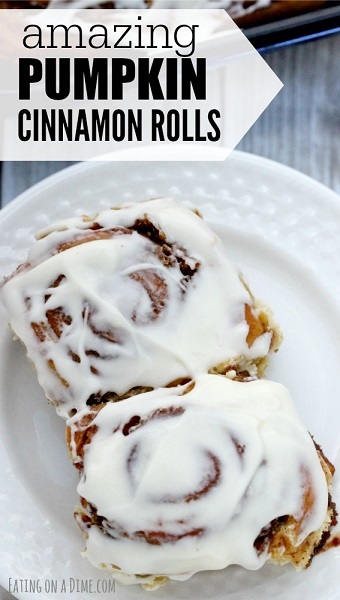 Cinnamon Rolls in under one hour made with refrigerated dough, a delicious pumpkin filling, and an incredible pumpkin pie spice cream cheese frosting! 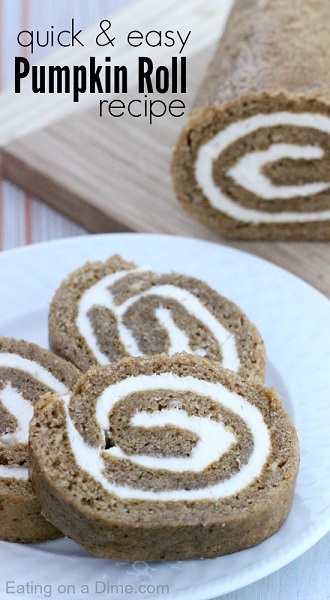 Learn how to make this gorgeous pumpkin roll! The endless layers of cream cheese icing are so light and fluffy. Homemade dog treats are budget friendly and healthier for your pets. These cupcakes are so easy and delicious. The simple cream cheese frosting makes them even better. 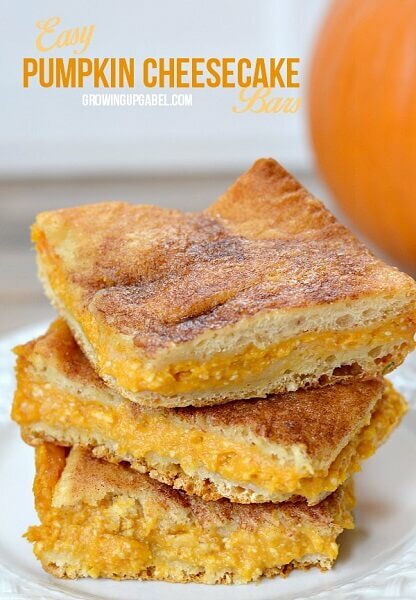 These pastries are so light, flaky and just bursting with pumpkin goodness. 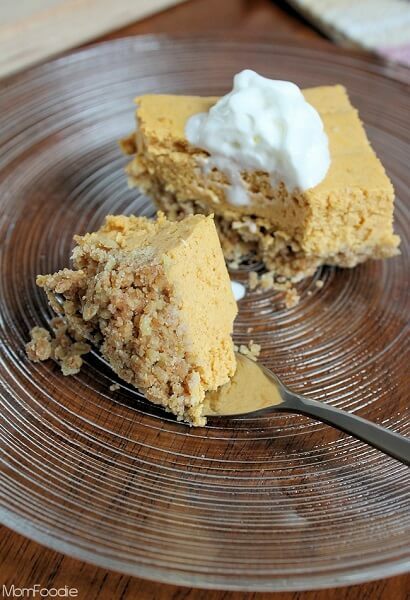 This cake has only 3 ingredients: cake mix, canned pumpkin, and pumpkin pie spice. You can’t get much easier than that. 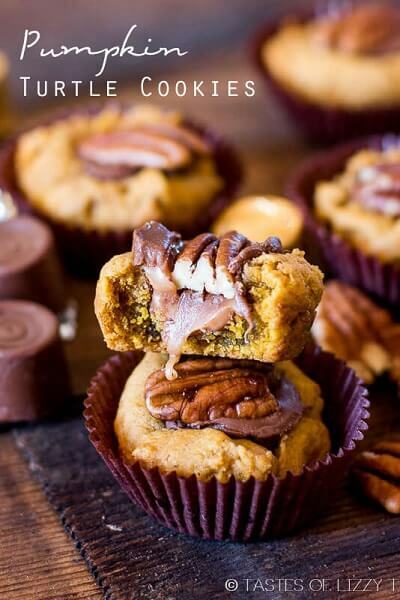 You will love the nutty pecan crunch in these soft and gooey pumpkin turtle cookies. Nothing says crisp fall morning better then the smell of Pumpkin Cinnamon Rolls baking in the oven. 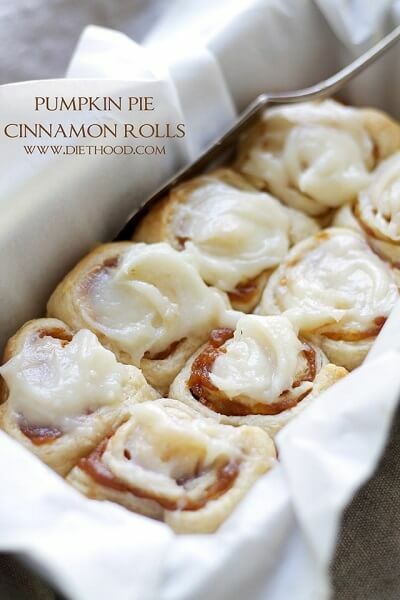 These pumpkin cinnamon rolls can be assembled the night before to help with hectic mornings. 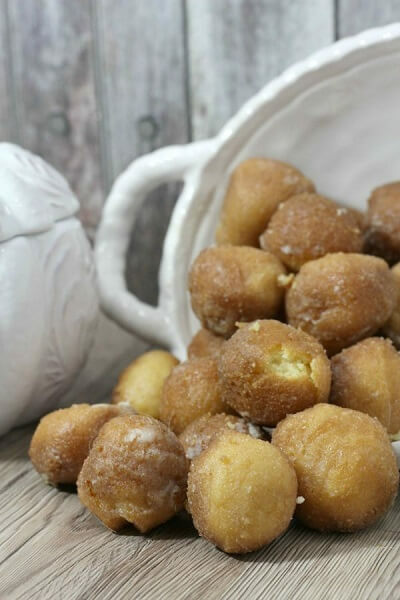 These donut holes look like little bites of heaven! The glaze just makes this treat even better. Pancakes that are baked in a casserole dish make an incredibly easy and delicious breakfast. So clever! Save at ton and make these at home! The recipe makes 2 medium size drinks! 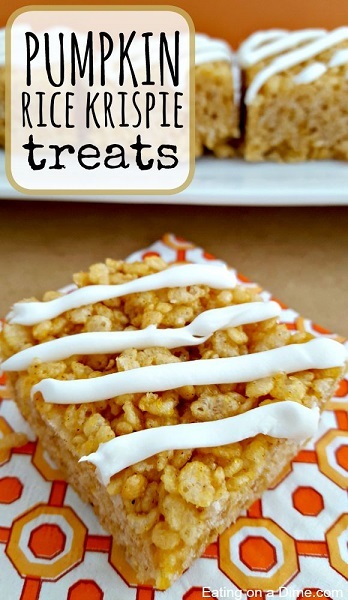 Jazz up the regular old rice krispie treat with delicious flavors of pumpkin. 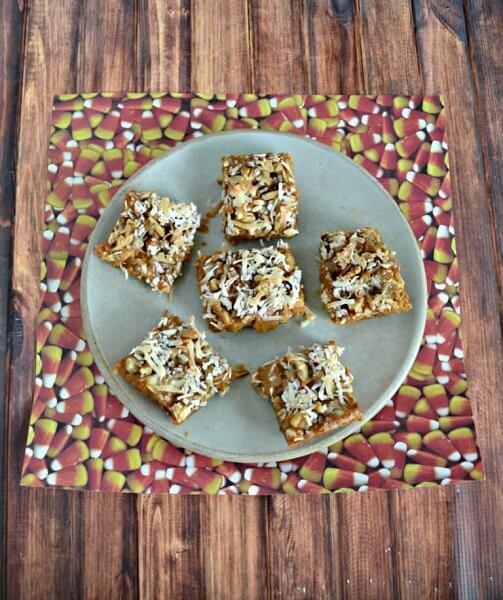 These Pumpkin Rice krispie treats are delicious and the perfect dessert for school lunch or parties. 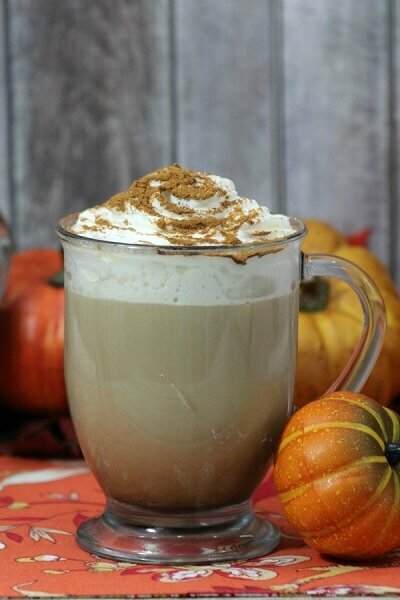 Add just a little bit of pumpkin puree and a plain ole latte turns into something extra special! It is just the right amount of sweet and moist. 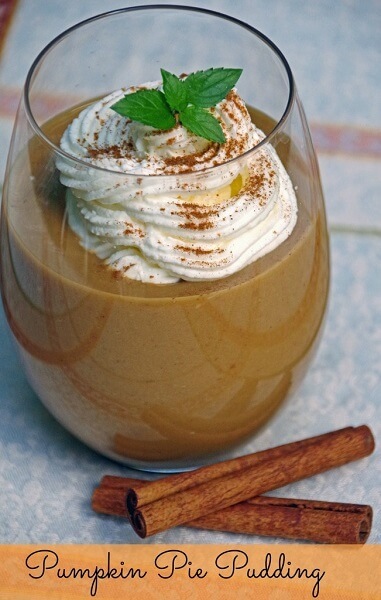 Such a tasty combination with the pumpkin and banana. 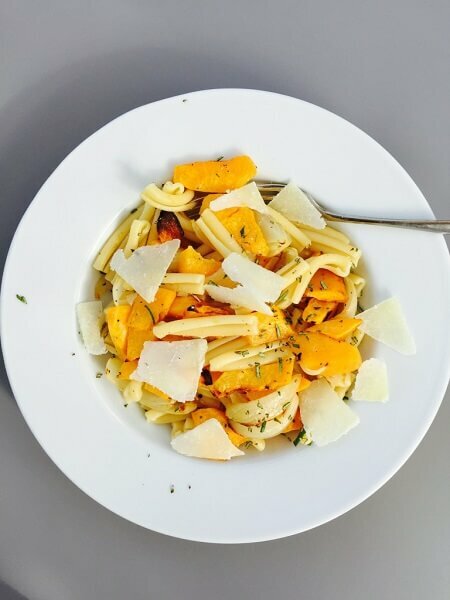 This pumpkin pasta is sweet, garlicky and tasty! You will love this unique twist on pasta. Pumpkin pasta is deliciously simple to make and tastes, sweet, garlicky and totally yummy. Need a fun afternoon snack for your kids or your next party? 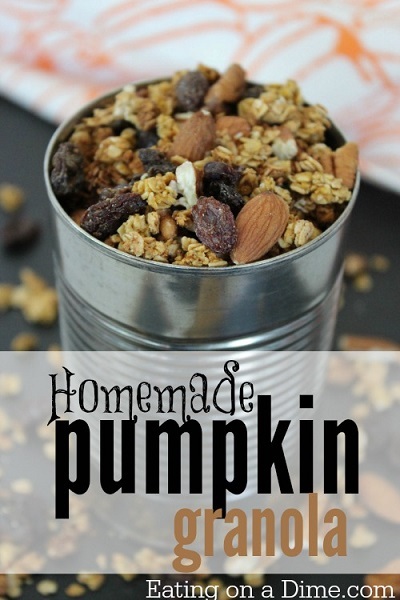 Try this easy Pumpkin Granola recipe. With very few ingredients you can make this pumpkin granola with food you already have in the pantry. My favorite way to eat it is on Greek yogurt. 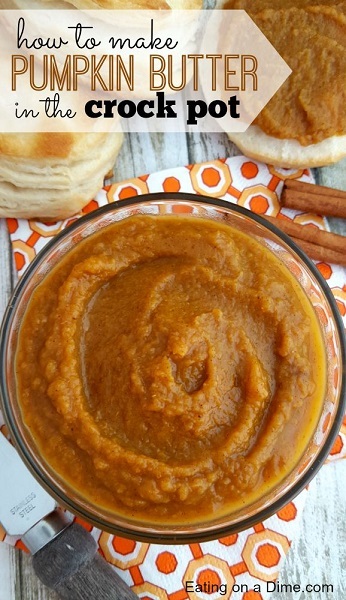 Here is a traditional pumpkin recipe that is wonderful anytime! 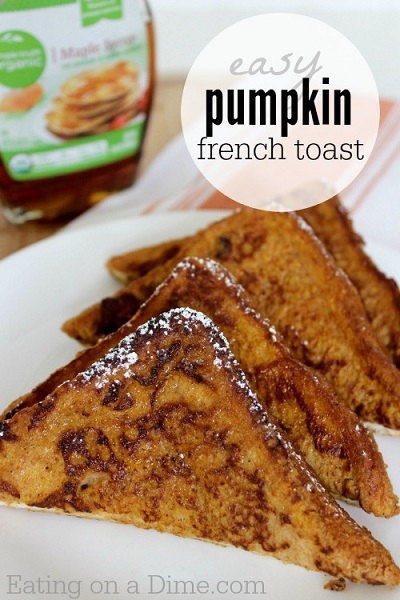 If you love pumpkin and you love french toast then this recipe is for you. We like to top it with a little sugar and syrup! 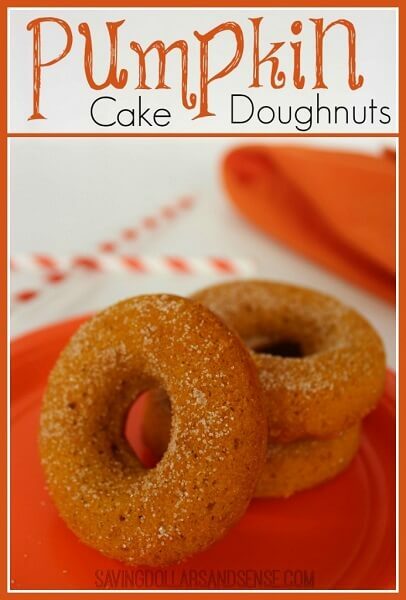 These pumpkin cake donuts will quickly become an Autumn tradition. 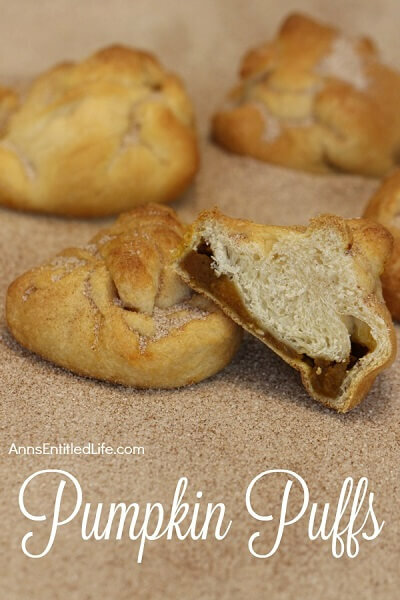 They are so good and the cinnamon sugar sprinkled while warm just melts in your mouth! 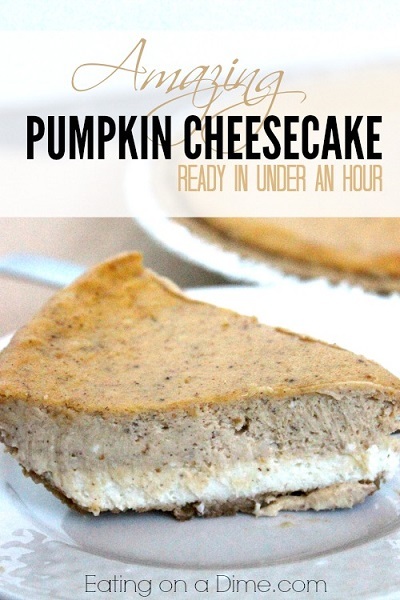 I have a super delicious and very easy Pumpkin Cheesecake recipe for you to try. 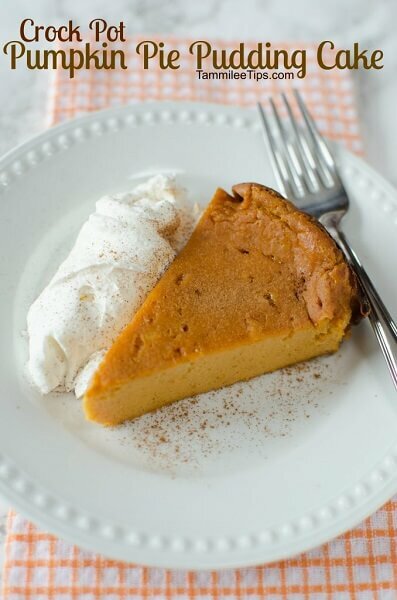 If you are not a fan of the traditional pumpkin pie, then this pumpkin cheesecake recipe is for you! 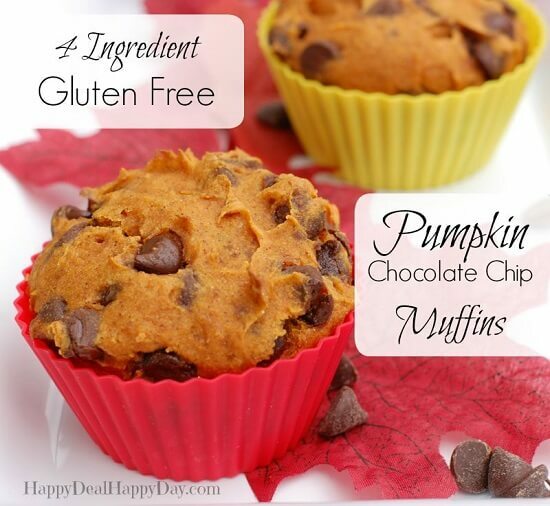 Only 4 ingredients, gluten free and much healthier than store bought! 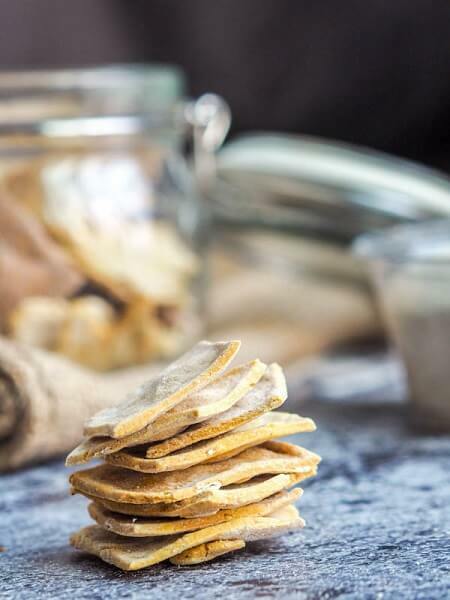 You will love this budget friendly healthy snack. 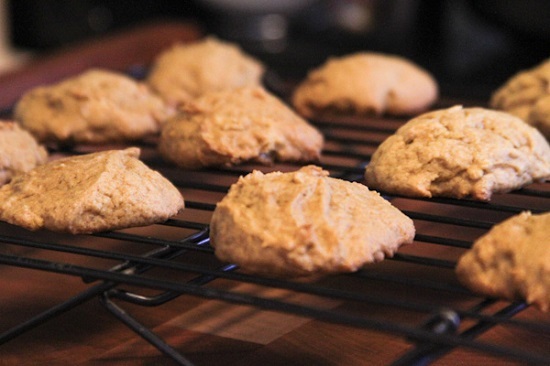 You only need a handful of ingredients for these cookies and less than 15 minutes! The confectioner’s sugar that you roll these cookies in make the cookies so pretty and even tastier. 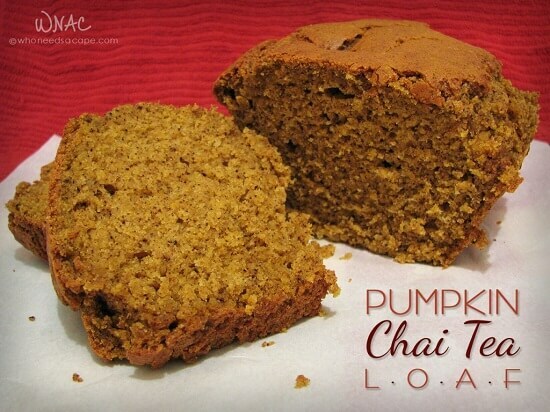 Pumpkin and Chai Tea collide to make a tasty combination in this recipe. 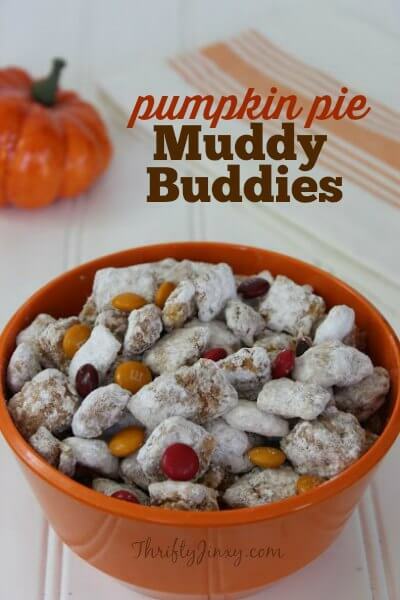 What a clever idea to put two Fall favorites together! 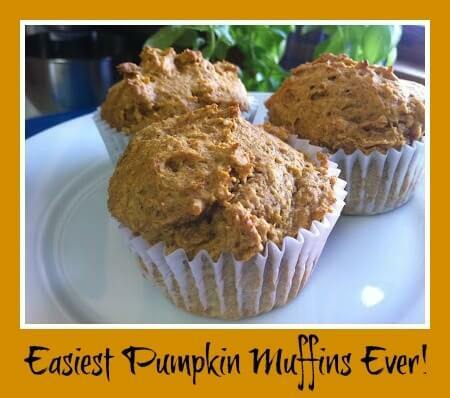 You will never guess that applesauce is used in place of oil in this pumpkin muffin recipe. It really adds to the moistness. And what is a muffin without a yummy topping? 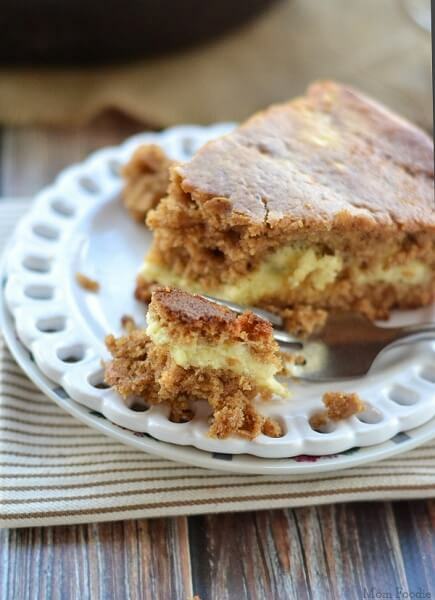 This one is topped with a fun streusel! 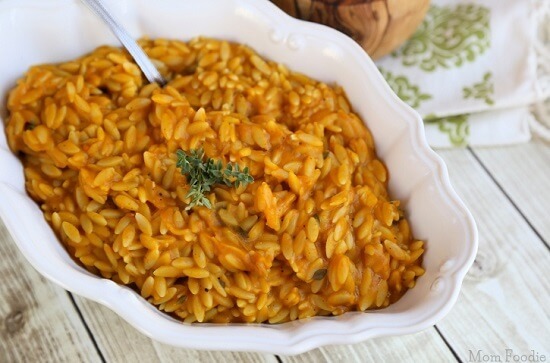 Creamy roasted pumpkin and orzo combine to make a side dish that everyone will be asking for more! This pairs well with grilled chicken, turkey and more! 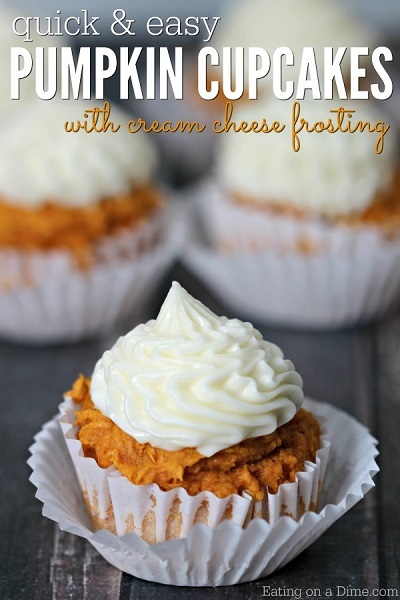 Try this Pumpkin cupcakes recipe this fall – it is perfect for Halloween, Thanksgiving, or just “because”. You can have a “fancy” dessert without a lot of work, skill, or money. 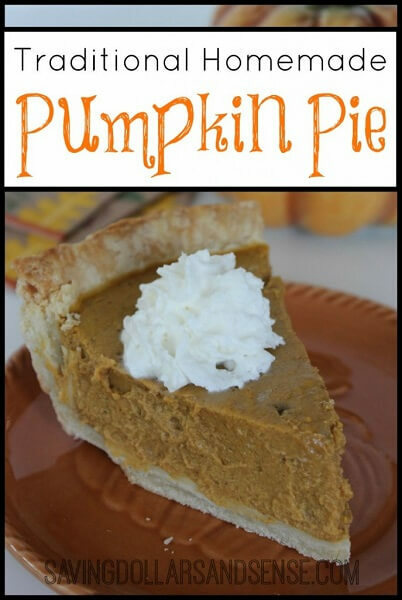 The cream cheese layers and pumpkin make this comfort food at it’s best! 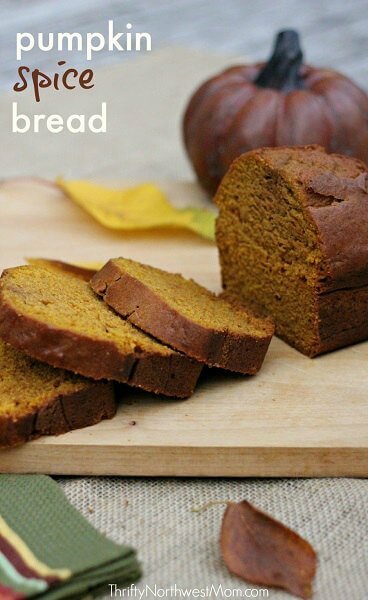 It is moist and packed with tons of pumpkin flavor. 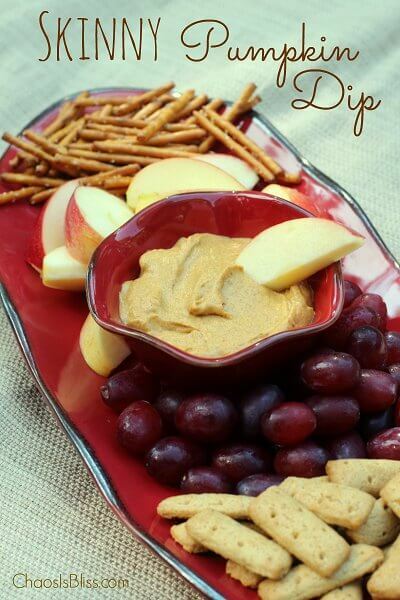 This dip recipe is healthy, gluten free, vegan and high in fiber! It’s incredibly creamy and has just a little kick. Serve with veggies or crackers! Enjoy this seasonal treat without blowing your diet! Truvia is the secret ingredient that helps make this dish low in sugar. 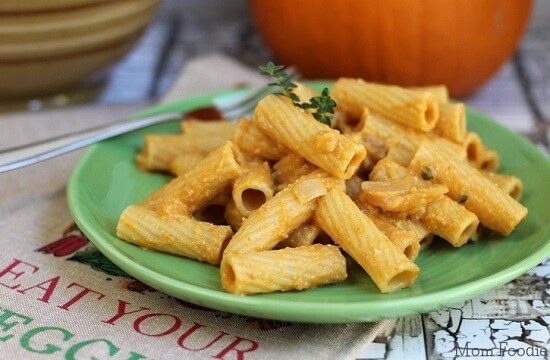 Try this dairy free pumpkin pasta recipe for a light and tasty meal! You will be surprised at how the flavors blend. Plus, it’s simple and fast. Oh my this dessert is so decadent! 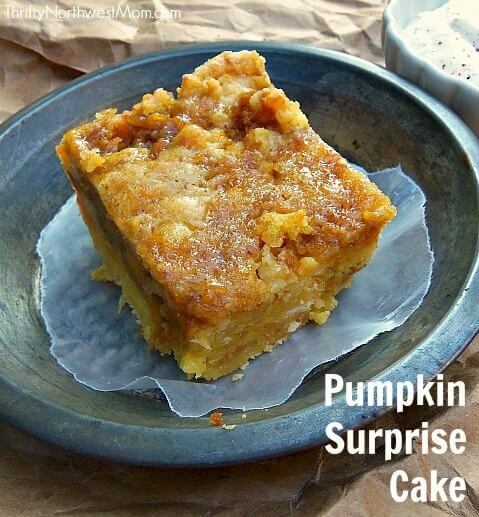 Drizzle sweetened condensed milk, pumpkin puree and more over the cake! Top with whipped topping and it just gets better and better. 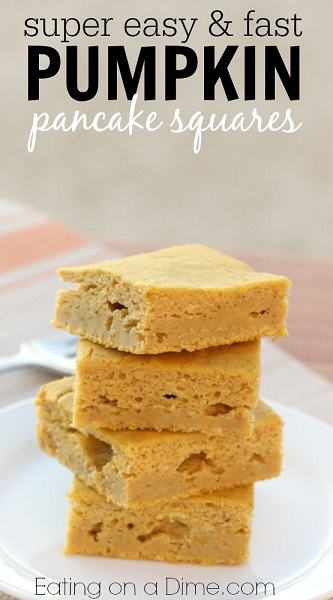 This recipe is gluten free and incredibly simple with only 4 ingredients! Perfect for busy school mornings! 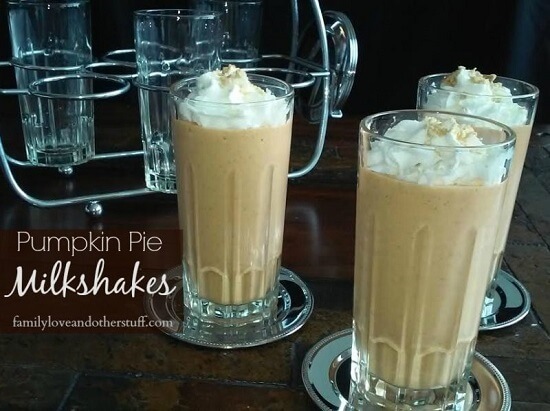 This milkshake is so easy and you can use pumpkin pie ice cream to make it even more simple. 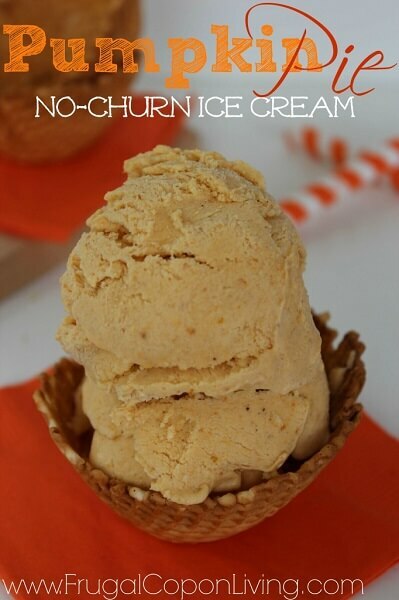 No worries if you can’t find pumpkin ice cream though! You can use vanilla or even chocolate. 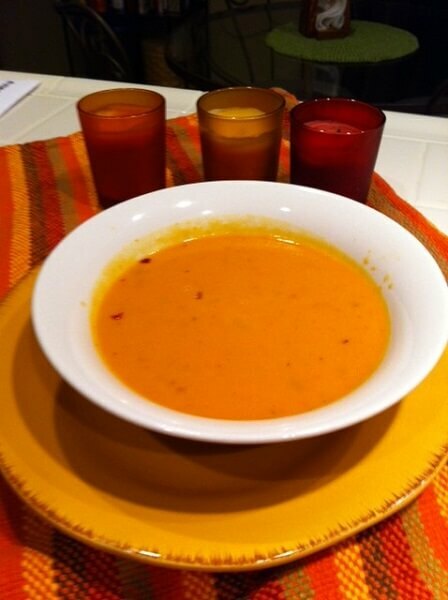 Pumpkin Soup with Pepper is a hearty fall soup. Serve it with warm homemade bread. This is perfect when you want something sweet but don’t want to make a large portion. It’s also very quick to make using the microwave. 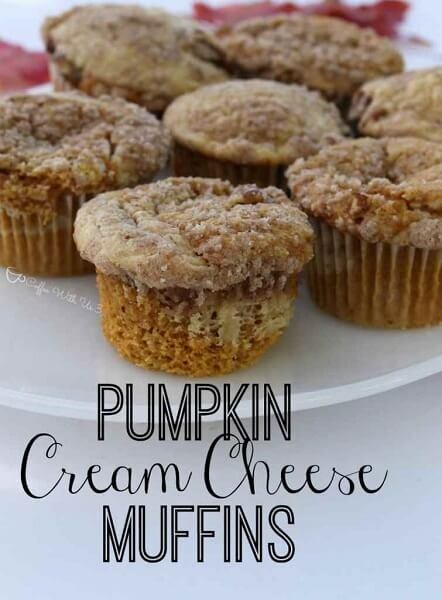 Top these muffins with streusel and layer with cream cheese! It doesn’t get any better than this! 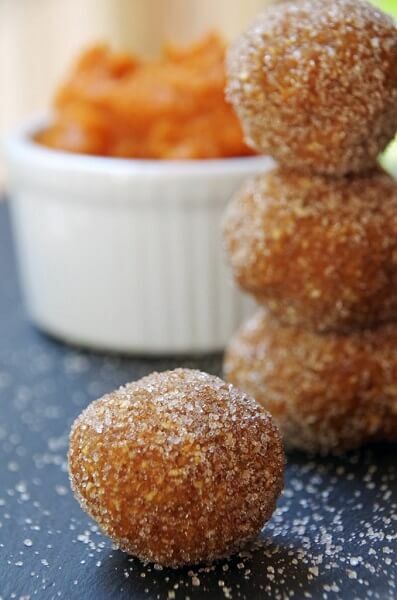 Bite size flaky puffs of pumpkin and cinnamon make an incredible dessert. You might want to make a double batch. 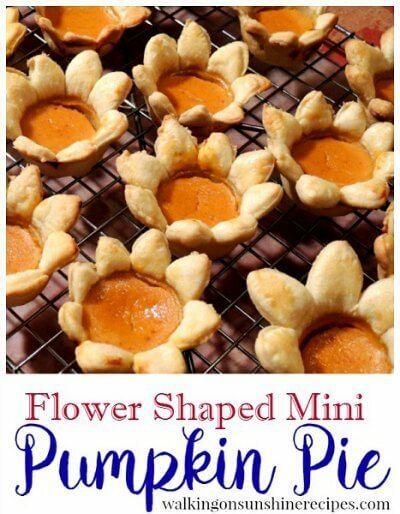 This flower shaped pie looks intricate and so gorgeous but it’s actually really simple with canned pumpkin. I love that it looks like mini sunflowers. Make this recipe quickly with crescent rolls. 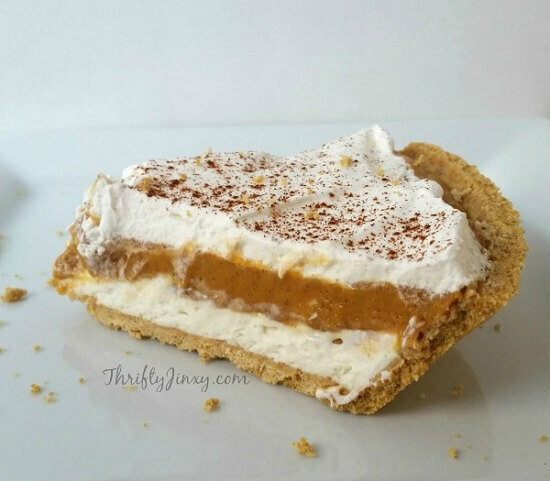 The layers of pumpkin and cream cheese are amazing! Perfect for brunch or dessert! This no bake pumpkin pie is layered with cream cheese, cool whip and more for the perfect Fall dessert. 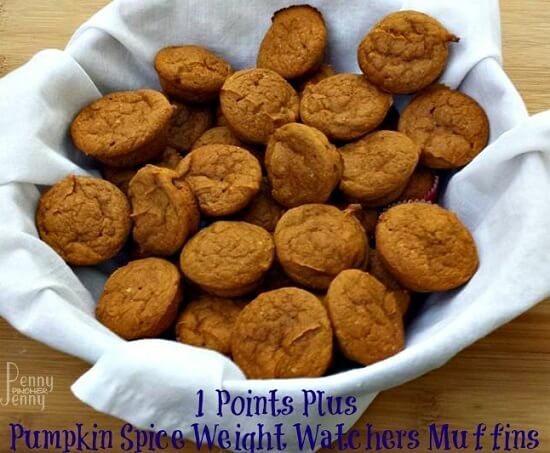 With so many Easy Pumpkin Recipes, you will have treats for months! I have so many of these on my list to try. I’m so excited and the entire family is going to be thrilled! There is something so comforting about a yummy bowl of soup. Here are 25 Easy Fall Soup Recipes to try all season long! Such a tasty round up! Thanks for including my recipe too!